The board of Japanese automaker Mitsubishi Motors, which is allied with Renault and Nissan, voted unanimously Monday to dismiss Carlos Ghosn as its chairman following his arrest last week. Leading motorcycle maker Yamaha unveiled its new tricycle motorbike, 'Niken', earlier this week. Global 3D experience major Dassault Systemes on Tuesday announced that commercial vehicle manufacturer Ashok Leyland has expanded the use of its "3DEXPERIENCE" platform by adopting the "Global Validation, Proven Performance" (GVPP) industry solution experience. As part of 'Make In India' initiative, Tata Motors on Saturday rolled out the 1500th GS800 Safari Storme (SUV) vehicle specially designed for Indian Army, an official said. At an exclusive automotive event “The Quail: A Motorsports Gathering“ in Monterey, California, Bugatti finally presented its latest model as a world premiere – The Divo hypercar. The car is named after Albert Divo, a French racing driver who was a two-time winner of the famous Targa Florio race on the mountainous roads of Sicily with Bugatti in the late 1920s. Two and three-wheeler maker TVS Motor Company Ltd hopes to further increase its market share in the commuter motorcycle segment with its new 110cc model 'Radeon', said a senior company official. Automobile major Maruti Suzuki on Tuesday launched an advanced telematics solution -- Suzuki Connect -- for its Nexa customers to manage a host of services such as emergency alerts, vehicle tracking and car assistance. Having returned to the track after recovering from injuries, superbike racer Sandesh Prasannakumar is determined to do well on the international circuit this year. 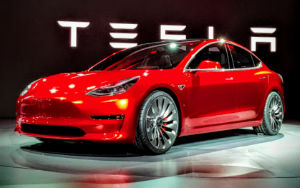 Aiming to ramp up its production targets to 5,000 cars a week, Elon Musk-run Tesla has reported revenue of $3.4 billion for the first quarter of 2018, saying that Model 3 production hit 2,270 a week in April. 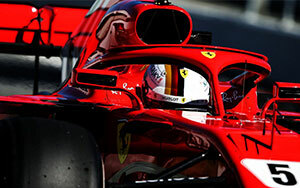 German Ferrari driver Sebastian Vettel has won the Bahrain Grand Prix, the second race of the 2018 Formula 1 season, for a record of fourth time, two weeks after clinching the Australian GP, strengthening his grip on the top spot in the driver standings.